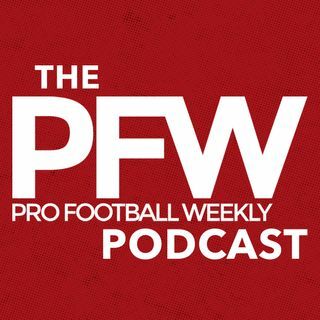 It's championship weekend, so the Pro Football Weekly podcast is full of guests. First up, Wes Hodkiewicz of packers.com, breaking down Aaron Rodgers' epic run, Green Bay's injury situation and the importance of winning the turnover battle when the NFL's two highest-flying offenses collide. Next, Aaron Freeman, co-host of Locked on Falcons, shares the key behind Matt Ryan's MVP season and biggest catalyst for Dan Quinn's much-improved young 'D.' Steel ... See More City Insider's Jim Wexell tells us Ben Roethlisberger, who's been off his game of late, needs a third weapon to emerge for the Steelers to pull off a massive upset in Foxborough. Wexell also breaks down Pittsburgh's under-the-radar, yet dominant, O-line and weighs in on the Antonio Brown and facebooklivegate. Lastly, Christopher Price of WEEI chats about Tom Brady's protection, Dion Lewis'expanding role and the Brown coverage plan, which should include plenty of Malcolm Butler.